On December 27, 1946 Dr. George Supple received a letter from R.I. President Richard Hedke congratulating the club upon its acceptance into Rotary International. 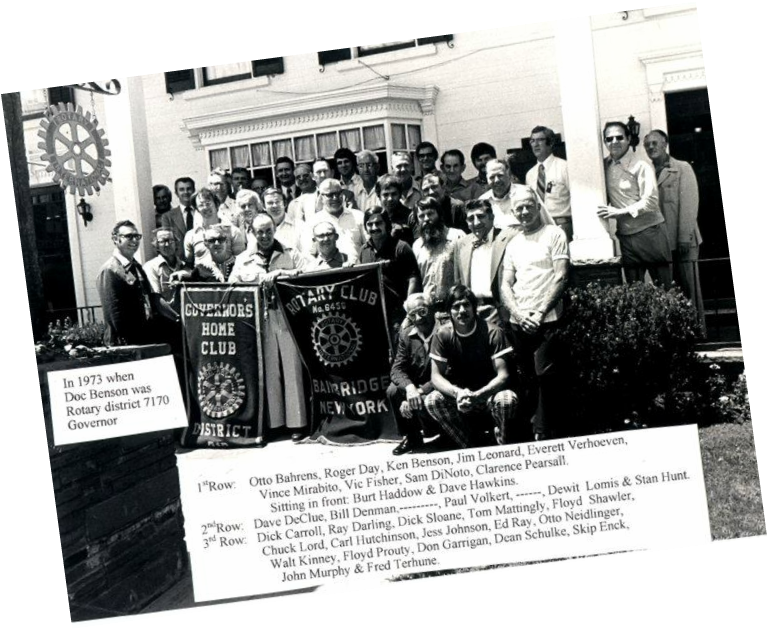 The club's first official Charter Night was on February 27, 1947 at 6:30 p.m. at the Bainbridge Central School. Donations to the Ladies Aid Group for helping with Charter Night. The Rotarian magazine subscription was given to the village and school libraries. Donations were $10 to the Town BAseball Team, $25 to Veteran's Memorial fund, and $10 to the American Legion.